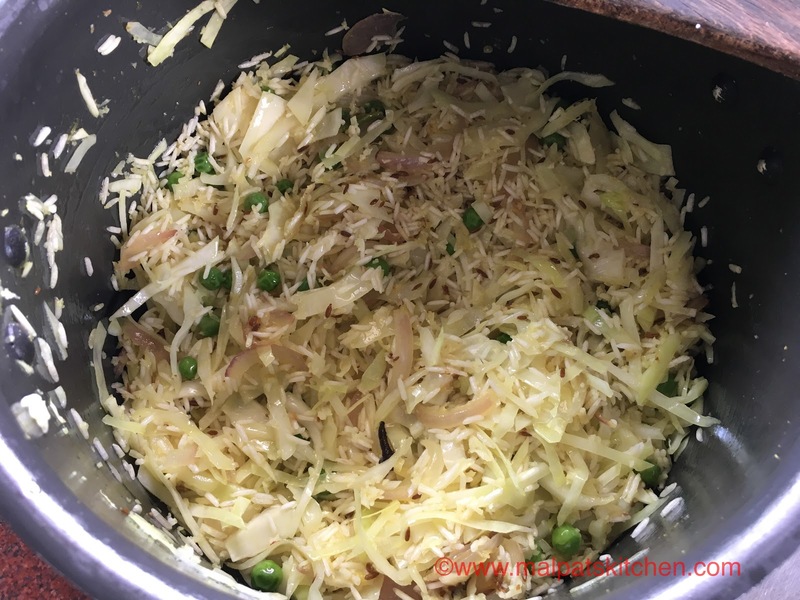 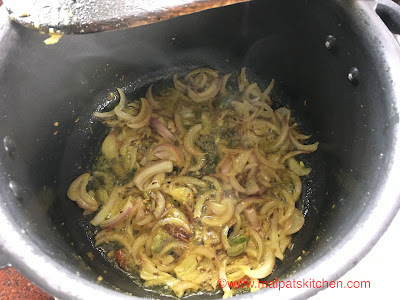 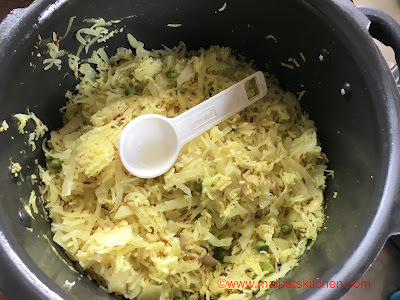 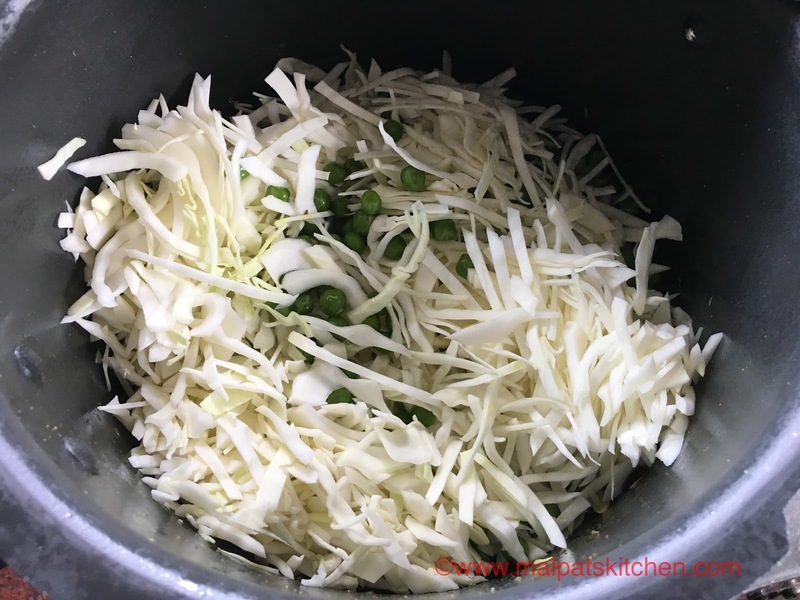 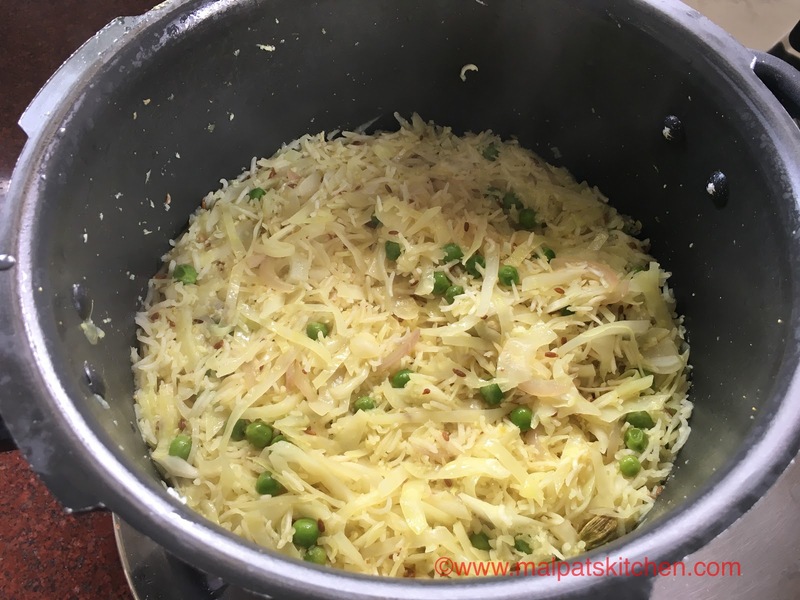 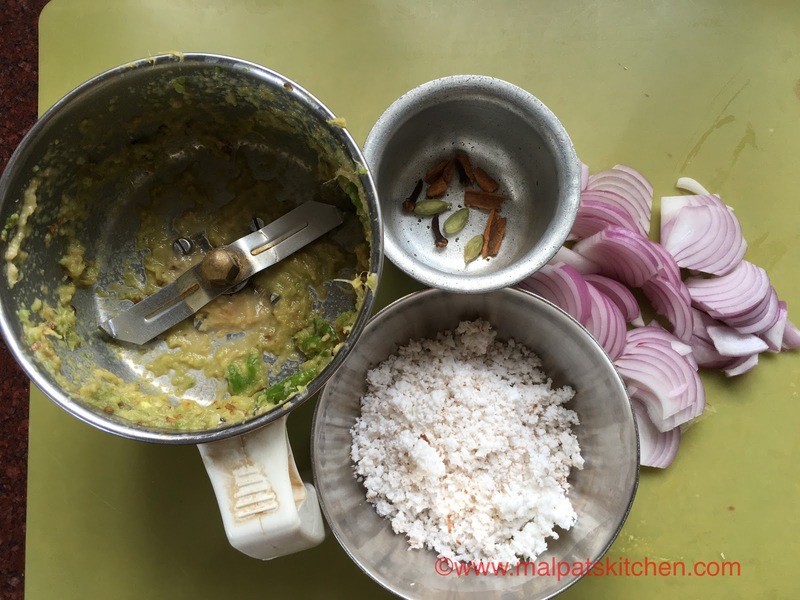 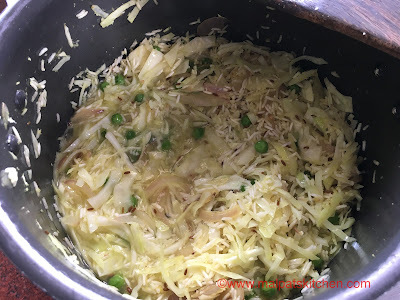 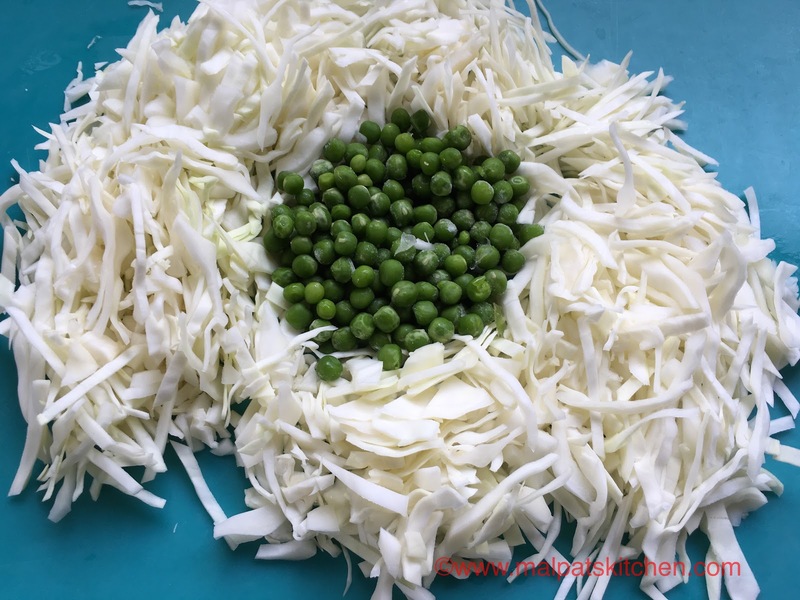 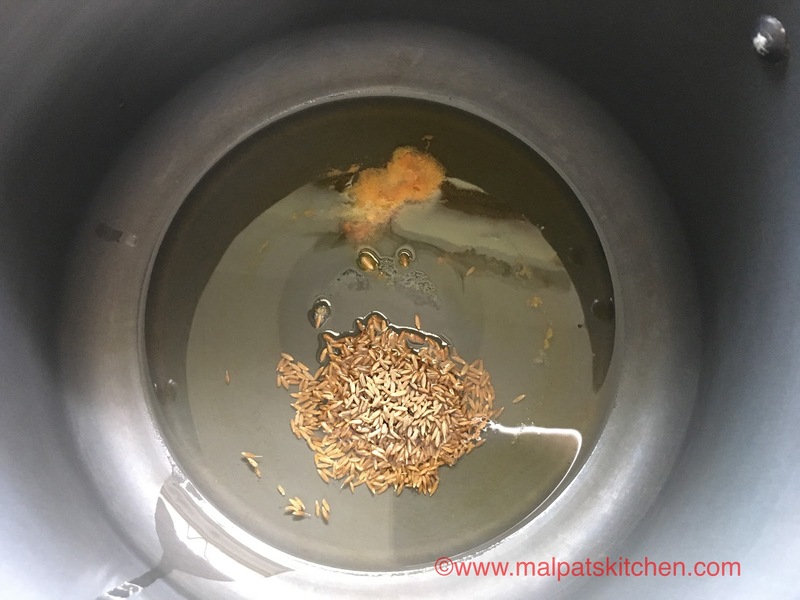 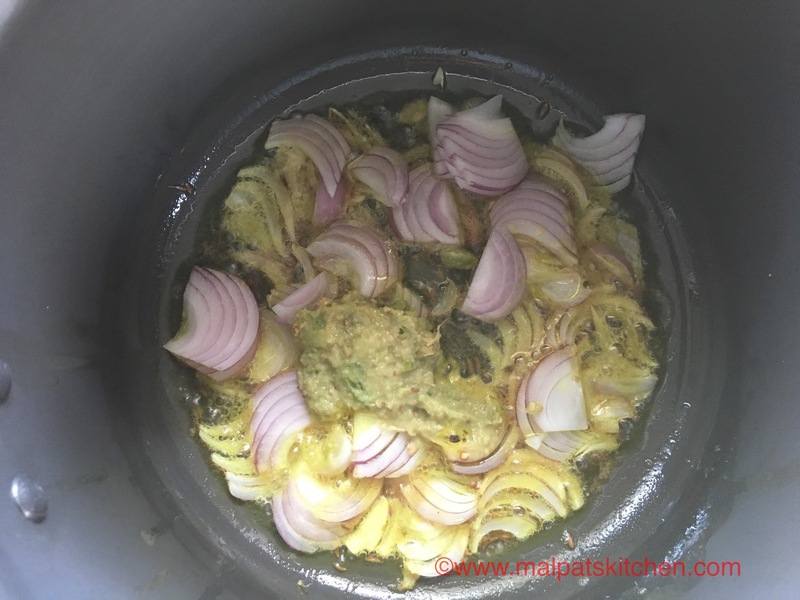 Cabbage rice is a simple, Maharashtrian preparation, which can be easily prepared with the ingredients we have at home. 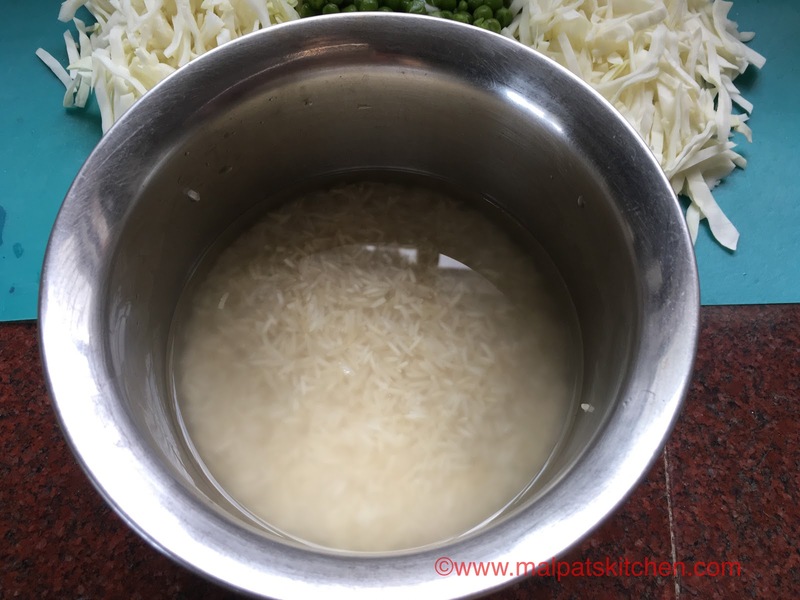 Nothing exotic in this...It is so tasty, you don't even need a raita or any side for this rice. 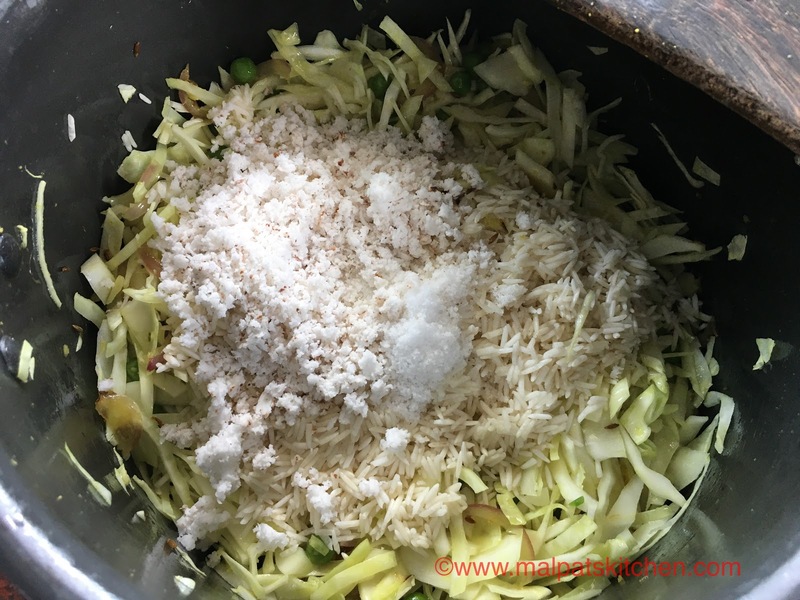 Just a bowl of curds would suffice. 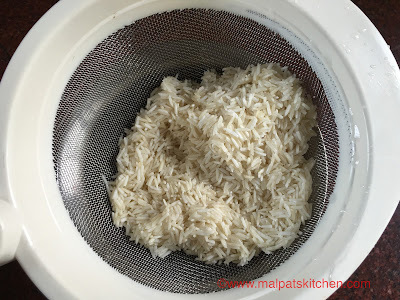 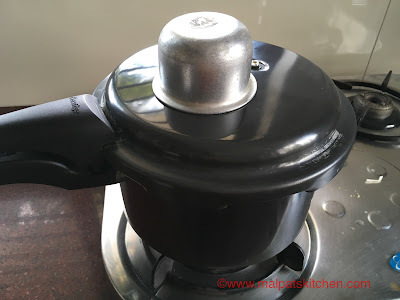 By now, you all would have known my way of cooking rice.....as soon as steam comes, close the vent with a small cup, flames on the lowest, and cook for 10 - 12 minutes. 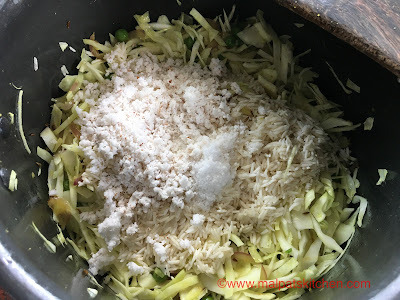 Fully done, now add the lemon juice, and gently mix.